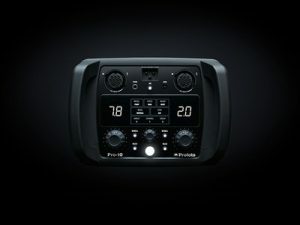 Introducing the Profoto Pro 10! Redman Movies and Stories are currently the first to own them in the state! Up until now your creativity may have been hindered by available equipment. Allow your imagination to run free with the speed of our new Profoto Pro-10 controlled with the Profoto Air TTL Remote. Profoto has been on the forefront of innovation for the past 60 years and they have made yet another leap forward in the world of still photography. The Profoto Pro-10 has a jaw-dropping flash duration of 1/80,000s and a recycle time of 0.02-0.7s. There is currently no camera on the market that can keep up with what this pack is capable of. Best of all, you sacrifice none of the control that you have come to expect from Profoto. With the Pro-10 now you have the equipment to keep up with your imagination. TO LEARN MORE ABOUT THE PRO 10 VISIT THE PRODUCT PAGE HERE.